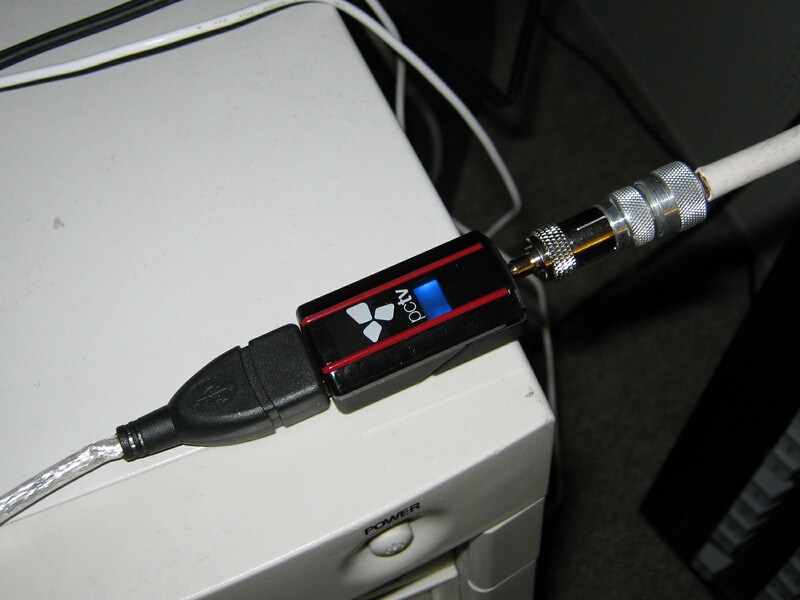 ats: I've just bought a new TV tuner. Works happily in Linux 3.0 (thanks to Steve Kerrison), and now I can decode the local DVB-T2 multiplex, which means I get BBC HD etc. ... would it have killed them to make it a bit bigger? I had considerable difficulty finding it in the box that it came in. I'm not sure how I'm going to mount it so the miniature RF connector doesn't get damaged. I suspect I'll end up taping the adaptor and both cables to a chopstick or something.